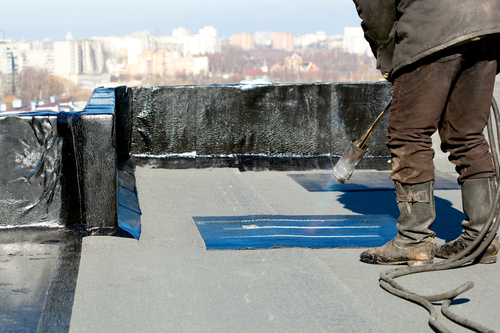 Commercial roofing systems are designed for long-term use and require regular maintenance to prolong its longevity. Poor upkeep, intense weather conditions, and installation errors can sometimes cause these systems to deteriorate over time. When problems arise, a roof restoration will typically be the best choice over an installation. Here are a few reasons why you should opt for roof restoration over replacement. Why Should You Choose a Commercial Roof Restoration Over an Installation? It costs less to restore damaged elements during a roof repair than it does to replace them completely. A roof restoration can be scheduled over the course of several years, making it easy to budget for the next stage. This can help save up to half the cost of new commercial roofing. Roof restoration is a preventative measure that will extend its longevity. Commercial roofing typically has a life span of about 20 years, and roof repairs can add an additional 10 to 15 years of life. This helps delay the costly expense of a roof replacement and the waste associated with it. Roofing restoration is generally less disruptive than installing a new commercial roof. Since you are restoring only the areas that need a facelift, instead of stripping off all of the material and installing a new roof, you will save a considerable amount of time. The project can be completed quicker and while business operations are still going on. This helps contribute to the cost-effectiveness of a commercial roof restoration. When considering commercial roof restorations or repairs for your business, trust Ridge View Roofing Solutions. This Pitman, PA, roofing contractor has specialized in acrylic roof coatings since 1977. They provide honest estimates, dependable, service and prompt attention for projects of all sizes. Learn more about their roofing repair services online or by calling (570) 490-0513 today.